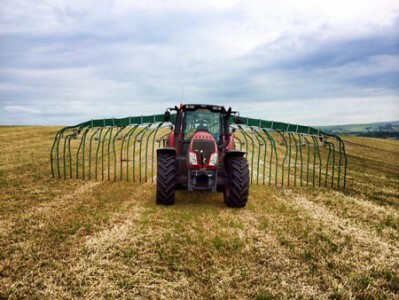 We operate a fleet of 3 spreaders which are ideal for large dung heaps and heavy dung cattle, or chicken dung. Our machines can be self-drive, loaded with loading shovel or 360 slew. Side flinging spreaders that spread sandy slurries from out of lagoons, and more runny slurries. We have 1600 and 2000 gallon capacity. Guzzlers 3000 gallons top fill machines with wide tyres and large auger through the middle of the machine to keep inside tank clean at all times. These are ideal for customers that bed with sand. They give a good even spread resulting in a very tidy job. We have 2 with top fill so there is no over-fill mess on the tracks and roads. We operate three umbilical systems with DODA engine pumps, with remote controls so operations can come from a tractor which can be up to 1.5km away from the lagoon. One operator at any one time, with over 12m dribble bar on a twin splash plate system.